Exhibitors and attendees noted the large number of industry senior leaders participating in the three-day event. “IDEA provided exceptionally strong metrics in leadership presence this year. 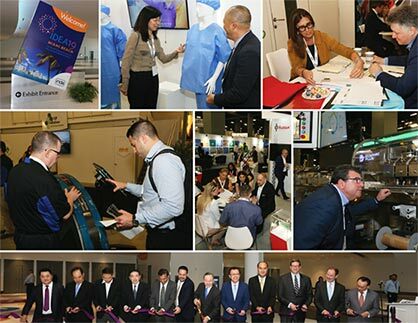 The event attracted a high level of key decision makers, a testimonial to the show’s importance within the international nonwovens and engineered fabrics industry,” said Dave Rousse, INDA President. Capping off the awards event, Rousse recognized the accomplishments of Robert Julius, President of Nice-Pak Products, Inc. in awarding him the IDEA®?Lifetime Achievement Award. Mr. Julius was recognized for his lifetime commitment to research, quality, innovation, and service. Nice-Pak and PDI have pioneered the development of wet wipe products and markets globally, that serve the consumer, commercial, healthcare, and contract markets. IDEA® 2022 will be held March 28-31, 2022 again at the Miami Beach Convention Center, Miami Beach, Florida. For more information, visit http://www.inda.org.